Last week I had the great pleasure of meeting the man himself and walk away from Lisbon with signed copies of his work. I came across Richard Zimler’s The Last Kabbalist of Lisbon during an almost unrelated internet search. Fascinated by the subject of the Kabbala and the era of Lisbon of 1506 I devoured the book and soon started to read all of his other novels. I had developed a keen interest in historical and Jewish fiction and was delighted to have found a writer whose work covered such a wide range of it, not just the holocaust years. What impressed me most was that Zimler never forgets others. While some writers only focus on the fate that befell the Jews, he calls out discrimination and hardships suffered by other minorities, such as Native Indians, gays, misfits and the disabled, to name but a few. Zimler is a writer with a big heart and a lot of compassion for others, whose often poetic prose and empathetic depiction of characters carved him deep into my list of favourite authors. Traditionally published and fairly successful Zimler, for now, still remains somewhat under the radar, but his books have had a deep impact on my own writing. 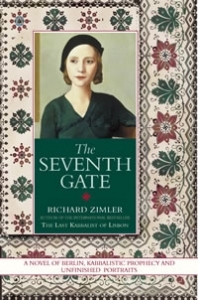 The Seventh Gate is one of my favourite books by Zimler. Set during Hitler’s rise to power in Berlin and the Nazi war against the disabled, The Seventh Gate brings together Sophie Riedesel, a witty, artistic and sexually adventurous fourteen-year-old, with an underground group of Jewish activists and ex-circus misfits led by Isaac Zarco. When a series of forced sterilisations, perplexing murders and deportations to concentration camps decimates the group, Sophie, now reaching adulthood, must fight with all her ingenuity to save all that she loves about Germany – at any cost. Given his successful handling of several individual fates at the hand of the Nazis I found the courage to publish my own The Luck of the Weissensteiners, which also tells more than one story about the holocaust, in my case about characters in Slovakia. Zimler had done it so well, maybe people would bear with me and be ready to read about Jewish and non-Jewish victims of Hitler at the same time. I still follow Richard’s novels and regard him as one of writers that influenced me the most. 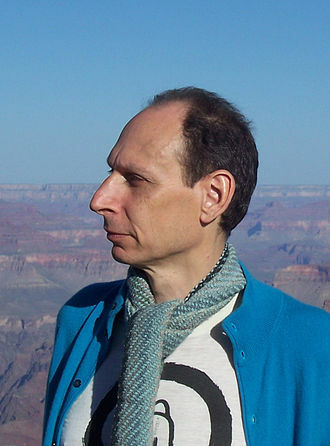 Richard Zimler was born in 1956. After earning a bachelor’s degree in comparative religion from Duke University (1977) and a master’s degree in journalism from Stanford University (1982), he worked for eight years as a journalist, mainly in the San Francisco Bay area. In 1990, he moved to Porto, Portugal, where he taught journalism for sixteen years, first at the College of Journalism and later at the University of Porto. 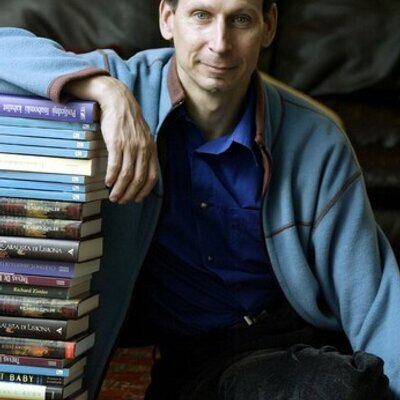 Richard has published ten novels over the last eighteen years. In chronological order, they are: The Last Kabbalist of Lisbon,Unholy Ghosts, The Angelic Darkness, Hunting Midnight, Guardian of the Dawn, The Search for Sana, The Seventh Gate. The Warsaw Anagrams, Strawberry Fields Forever (in Portugal and Brazil only) and The Night Watchman. His novels have appeared on bestseller lists in twelve different countries, including the USA, Great Britain, Portugal, Italy, Brazil and Australia. Richard has won numerous prizes for his work, including the Marquis de Ouro prize in 2010 – as Book of the Year in Portugal – for The Warsaw Anagrams. This prize is voted on by high school teachers and students. He also won the 2009 Alberto Benveniste prize in fiction for Guardian of the Dawn (for best Jewish-themed novel published in France), and the 1998 Herodotus Award, for The Last Kabbalist of Lisbon (Best First Historical Novel). Additionally, The Last Kabbalist of Lisbon was picked as 1998 Book of the Year by three British critics. Five of his novels, including his most recent – The Night Watchman – have been nominated for the International IMPAC Literary Award, the richest prize in the English-speaking world. The other novels nominated are: Hunting Midnight, The Search for Sana, The Warsaw Anagrams and The Seventh Gate. Richard was also granted a 1994 U.S. National Endowment of the Arts Fellowship in Fiction. The Last Kabbalist of Lisbon, Hunting Midnight, Guardian of the Dawn and The Seventh Gate form the “Sephardic Cycle,” a group of inter-connected – but fully independent – novels about different branches and generations of a Portuguese Jewish family. A short film he wrote and acted in – The Slow Mirror – was awarded the Best Drama award at the 2010 New York Downtown Short Film Festival. When he isn’t writing or publicizing his books, Richard enjoys gardening at his weekend house in the north of Portugal. He is married to Alexandre Quintanilha. Thanks for the introduction, Christoph. I must read some of his books. It’s a subject I’m very interested in. Fascinating account about Richard Zimler. I must check him out. Christoph, I feel I know you better through this post. I realize it was not all that personal, and yet it was. Thanks for this introduction to Richard. I think his work will really appeal to me. I studied a touch of the Kabbala about 17 years ago, with a guide to help me with it. 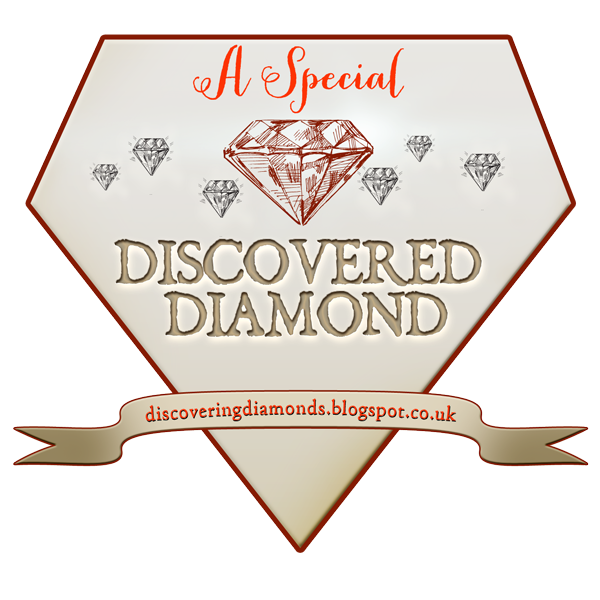 I enjoyed it hugely and wish I had been able to learn more… but life changed. Hugs to you and best to Richard. Thanks Teagan. I often feel that the books someone likes reveals something about them, too. And in this case, having met Richard, the types of books he writes, reveal the person behind the words.